Luxury vehicles are purchase because they have the highest level of engineering, features, equipment and offer the best class of vehicle for owners to fully enjoy. Every vehicle on this list comes with the five-star NTSA crash test safety rating. Volvo XC60 – The Volvo XC60 is a great luxury SUV from Volvo which carries with it a reputation for being the best on the market when it comes to safety. The XC60 shows up with a ton of extra features to keep occupants safe and secure as well as an 18 city/25 hwy mpg for owners to enjoy. Volvo S60 – The S60 is a gorgeous and understated sedan from Volvo that moves away from the old square and boxed shape to a new shape that is easy on the eyes. The S60 offers a full array of safety options to choose from and a 24 city/35 hwy mpg. Toyota Highlander – Not always thought of as a luxury SUV, the Highlander in higher models offers plenty of luxury features. With a great deal of options safety features to choose from and a fuel efficiency of 27 city/28 hwy mpg the Highlander makes a great choice for space and safety. Mercedes-Benz M-Class – As normal for a Mercedes-Benz vehicle, the M-Class offers a great deal of added handling engineering that makes this vehicle easy to enjoy on any ride. With safety features all over the vehicle and 18 city/24 hwy mpg owners can really feel good about the M-Class. Lexus RX – The Lexus RX is one of the best choices for luxury SUV shoppers to choose. The RX comes fully equipped with luxury features and equipment to really impress the vehicle owners. In addition to the great safety, the RX shows up with 30 city/28 hwy mpg of fuel efficiency to enjoy. Jeep Grand Cherokee – The Jeep Grand Cherokee may not normally seem like a luxury SUV, but at some of the higher trim levels it certainly is. The Grand Cherokee offers a great deal of safety to keep everyone secure along with driver information systems. 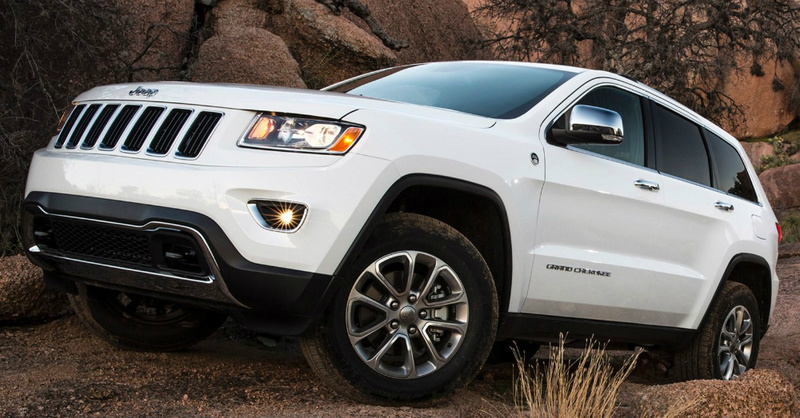 The Grand Cherokee has a fuel mileage of 13 city/19 hwy mpg. Hyundai Genesis – The Hyundai Genesis is a long and gorgeous vehicle from Hyundai that offers plenty of equipment and features to make this a smooth ride and easy to enjoy vehicle. The Genesis with all its safety adds a fuel mileage of 15 city/23 hwy mpg. Honda Odyssey – The Honda Odyssey is minivan that doesn’t normally show up as a luxury option at all. The Odyssey has to be trimmed at the highest level to be considered luxury, but that model is made for safety and offers owners a decent fuel efficiency of 19 city/28 hwy mpg. GMC Acadia – As a step up to the normal offerings from GMC, the Acadia and many other GMC vehicles can be had in the Denali trim which is more than just a great deal of luxury, but excellent to ride in as well. The Acadia offers a 17 city/24 hwy mpg to enjoy in addition to great looks and safety. Whether it’s a vehicle adorned with leather upholstery, has all the safety features possible, or the most advanced handling luxury vehicle represent the best vehicles. What does Alfa Romeo Have Up its Sleeves?